Rates: Based on double occupancy. Children age 4 and under are our guests. Extra room guests (5 yrs. and over) will be charged $35 per person per day. Minimum Stays: Due to seasonal demands, weekends (Friday & Saturday) from June 6th – September 9th are minimum two nights stay. Windermere Cottage and our Two Bedroom Platinum Suites have two-night minimum stays. Breakfast included each day. Taxes: All rates are subject to applicable taxes and 7% Resort Fee. For a limited time, enjoy our special (and delicious!) Bed & Breakfast package. Tee time 11:00AM onwards. Rates quoted for Gardenview room are per person per night, based on double occupancy, subject to taxes and resort fee. Package subject to availability and advance reservations. Inclusive of buffet breakfast. Rates do not include golf cart excluding Spring Midweek $150 rate. Prepare to be indulged in our in-house AMBA Health & Beauty Spa, which features six treatment rooms, a restorative lounge, and an enclosed manicure and pedicure area, all within an atmosphere that will rejuvenate body, mind, and soul. Reservation Deposit and Cancellation Policy: A deposit equivalent to one night’s stay (less taxes & service charge(s)) is required with all reservations. 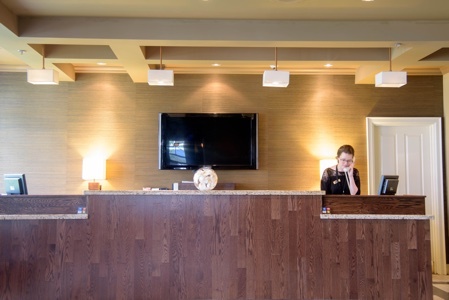 The deposit, less an administration fee of $50.00, is refundable if notice of cancellation is received by Windermere House not less than 7 days prior to the scheduled check-in time. As is standard with seasonal resorts, no refund will be given with less than 7 days prior notice. Taxes, service charge(s), and incidentals charged to your room during your stay are due upon check-out. 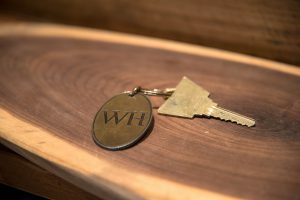 Windermere House is not responsible for, nor provides, credit to patrons, for any non-utilization of facilities or loss of recreational opportunities due to weather, power failure or any other circumstances beyond our control. Key Deposit: A deposit of $10 per room key is added to your account at the time of check-in, and refunded at check-out with the return of the key. Check-in and Check-out Times: Rooms are not guaranteed to be available until 4pm. Guests arriving earlier are invited to enjoy our facilities. Check-out time is 11:00am. Cots and Cribs: Supplied based on availability at no additional cost. Please reserve at the time of booking.